Maison Meneau was Founded in 1879, in the port of Bordeaux, a place where all mixtures and flavours meet, Maison Meneau perpetuates its know-how based on the assembly of the very best origin products - sugar from faraway islands and fruit from the Aquitaine region and manufacturing that follows traditional methods and that gives you the best finished product. Maison Meneau products are produced without any chemicals, additives, preservatives, artificial dyes or flavour enhancers, they naturally retain all their nutrients and are rich in vitamins. Giving you the best tasting natural products! As well as prviding the great tasting goods Maison Meneau also is environmentally aware, Maison Meneau uses glass bottles that is a fully recyclable material and products that requires less raw material during its manufacturing. 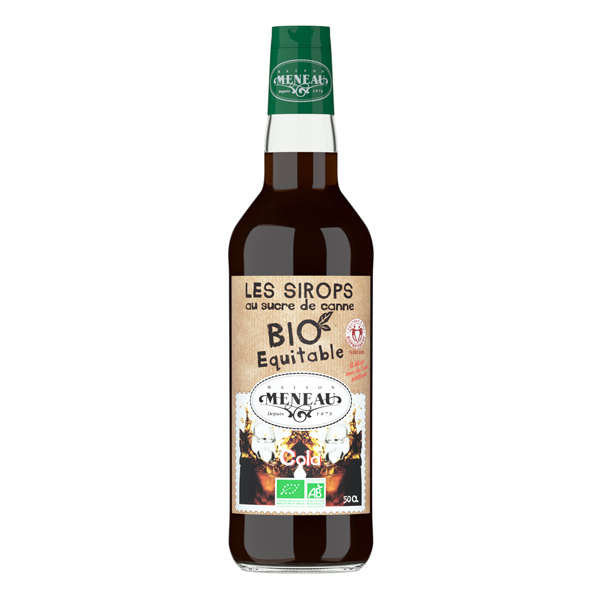 AB logo guarantees to its consumers that these syrups are from the organic production implementing specific practices : Use of natural fertilizers, natural anti-parasites, strictly limited use of fertilizers, processing, preparation, and preservation of the environment.